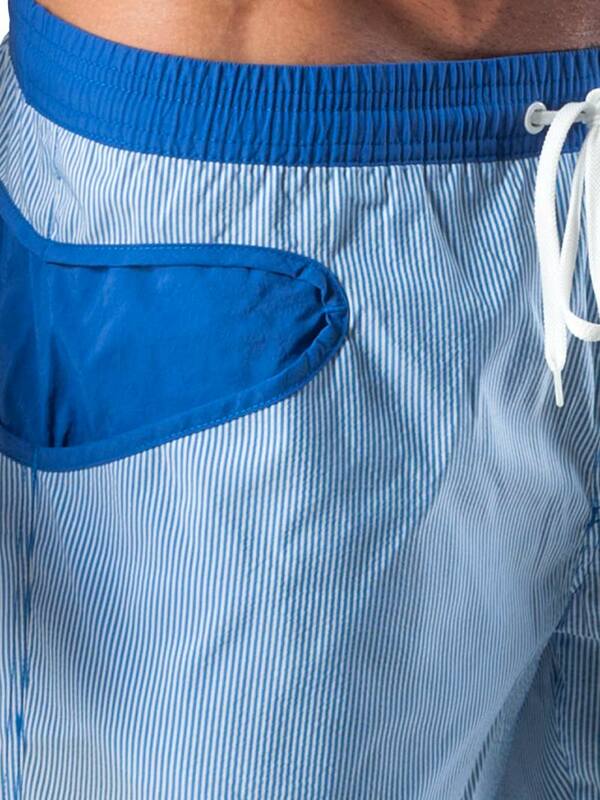 The Geronimo 1540p4 Blue pinstripe board shorts. This stylish surf short has loads of extras deep side pockets, divided on 2 front and 2 back pockets. Inside there’s a support brief. The fabric is luxurious, lightweight and quick drying. While the contrast waistband provides extra fit and allows corrections of the waist size. These breezy bad boys will help you catch whatever it is you are chasing.